Product prices and availability are accurate as of 2019-04-25 07:14:32 UTC and are subject to change. Any price and availability information displayed on http://www.amazon.co.uk/ at the time of purchase will apply to the purchase of this product. 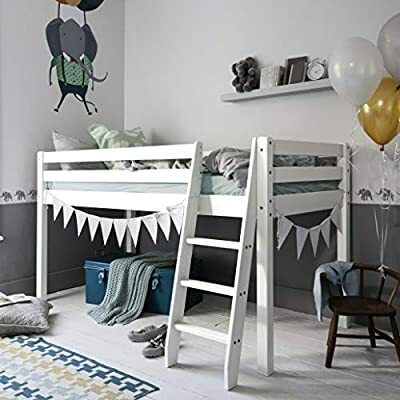 The Midsleeper Solid Pine Cabin Bed comes in a Solid White finish with an angled ladder that can go either on the left or the right.